When your business is drowning in the sea of debts, it is the high time you should take some effective measures for controlling your debt. You can research for online debt relief companies and choose the one that suits according to your requirement. Here, you can find various options for managing the debt. Focus According To Control: You should ensure that your focus remains on the discretionary debts. Therefore, you can restructure or agree with your creditors for paying later. 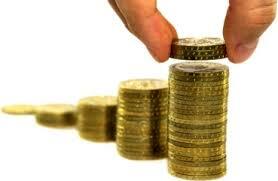 The debts which can be paid later can be dealt after paying off the immediate payments. Allocate Amounts To Be Paid Off: You can wisely negotiate your debt relief package, if you can properly determine the discretionary income. The discretionary income can easily be determined by deducting all the expenses from the total income. If you are left with a positive number, then that amount is your discretionary income. If you have already allocated some money in specific areas of your business, be careful about your debt allocation. You should not ignore the small amount of bank charges as well. Personal Debt Deadline: For obtaining a better grip on finance, you can quickly calculate the amount of flexibility taken for one or more debts. If you are in a financial crisis situation, where you are required to manage the spiraling effect through the debt relief programs, you should not opt for any further debts to boost your business. You should be flexible enough so that the survival of business can be allowed first. Work within Budgets: If you have determined your budget, allow your business to grow by spending very little within the budget. For managing the cost of operations, you are required to prepare a proper budget. If you are injecting any investments in your business, the budget record can keep an accurate track. Improve Credit Score: You should improve the credit score for getting access to better rates of loans. All the business expenses should be paid through the business account. The credit worthiness of your business can be proved if you provide consistent and timely payments to your creditors. Avoid Tax Debts: A proper system should be maintained in your business for filing taxes. You can seek advice from the taxation lawyers for avoiding your tax debts. Ignoring these debts can even put you out of the business. Avoid Credits To Customers: It is always recommended not to deal in credit with your customers. The bad debtors will definitely affect the cash flow of your business. You should rightly anticipate the possibility of the creditors who are not going to pay what they owe. Unless the customers establish a proper credit record, never extend credits to the customers. I like to blog about Tech, Business and Investment, I've Written lots of content about Technology and Business. Do check out our blogs on Meldhet, Do check it out it will be helpful for You.